68" In Height Vertical Upthrust Constants | Piping Technology & Products, Inc. Piping Technology & Products, Inc. designed and built two, 68″ in height 100 U-Type constants for a power plant in Mexico. 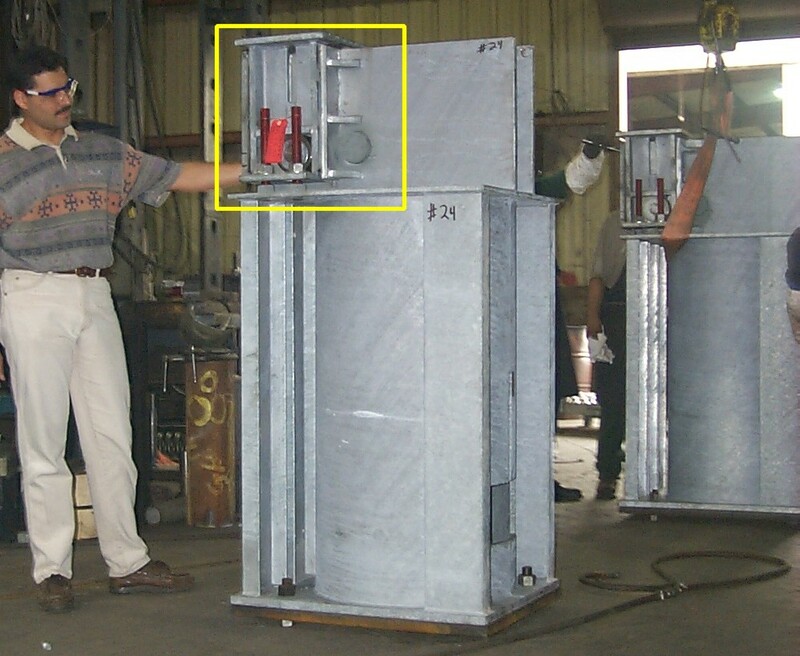 The vertical upthrust constants were designed to support 48,500 lb. each with a total upward travel of 3″. In order to prevent buckling of the constant housing, each constant was designed with five C7 x 14 3/4 lb. channels and a base plate of 26 3/8″ x 33 1/4″. These unique 100 U-Type upthrust constants were custom designed by PT&P to accommodate limited horizontal space requirement. The constants will be placed opposite to each other on a beam capable of supporting 99,000 lb. load of the pipe, plus the weight of the constants. Want to learn more about constants? Visit out webinar archives today!